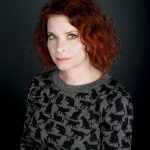 Boca Raton, FL – Palm Beach State College Professor Samantha Salzinger has received a $15,000 award from the South Florida Cultural Consortium for her artwork, as well as an opportunity to showcase her winning pieces at an upcoming exhibit. She is among 12 visual and media artists —six individuals and a collaborative —selected this year for the award, described as one of the most lucrative presented by local arts agencies in the U.S. The South Florida Cultural Consortium<https://www.miamidadearts.org/south-florida-cultural-consortium-sfcc> presents the awards at either the $7,500 or $15,000 level each year through its Visual and Media Artists Program. The Consortium, an alliance of the arts councils of Broward, Martin, Miami-Dade, Monroe and Palm Beach counties, opens the awards to artists who live in the counties they serve. In addition to receiving the cash awards, the artists participate in an exhibition hosted and organized by a visual arts institution in one of the five counties. This year’s exhibit opens<http://www.fau.edu/artsandletters/galleries/exhibitions/newart2018/index/> Sept. 15 in the Schmidt and Ritter Art Galleries at Florida Atlantic University. Titled “New Art: 2018 South Florida Cultural Consortium Fellowship Visual and Media Artists Exhibition” it will run through Oct. 27. An opening reception will be held on Friday, Sept. 14 at 6:30 p.m. beginning in the Schmidt Center Gallery at the Boca Raton campus and moving to the Ritter Art Gallery until 8:30 p.m. The recipients were selected through a two-tier panel process that included the participation of regional and national arts experts. The regional panel selected the top picks based solely on the evaluation of samples of the artists’ work submitted with their applications. The regional panel selections were then submitted to a national panel for a final decision. 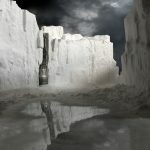 Salzinger was chosen for her body of work that consists of hand fabricated large-scale dioramas “that are carefully lit and photographed to create the illusion of a sublime landscape in a strange land.” To develop the pieces, she said she constructed tabletop models out of modest materials such as Styrofoam, plaster and dirt. Then she carefully placed her camera to manipulate the composition and mood of the resulting photograph. 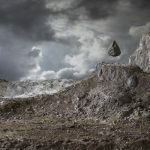 “Although inspired by nineteenth century romantic painters such as Turner and Friedrich, the tension in these images lies in the fact that they are photographs. Traditionally, a photograph evokes the tangible presence of reality. As the images begin to blur this line of distinction, they ask us to consider humans desire to control and predict nature. It is this dialectic of opposites that creates a tension in the photographs, resulting in mood akin to a nagging sense of uncertainty,’’ she said. A Fort Lauderdale resident, she received a bachelor’s degree from FIU and a Master of Fine Arts from Yale University Graduate School of Art, where she was awarded the George Sakier Memorial Scholarship. Serving 49,000 students annually, Palm Beach State College is the largest institution of higher education in Palm Beach County, providing bachelor’s degrees, associate degrees, professional certificates, career training and lifelong learning. Established in 1933 as Florida’s first public community college, Palm Beach State offers more than 130 programs of study at locations in Lake Worth, Boca Raton, Palm Beach Gardens, Belle Glade and Loxahatchee Groves.